We’re really excited about this one! 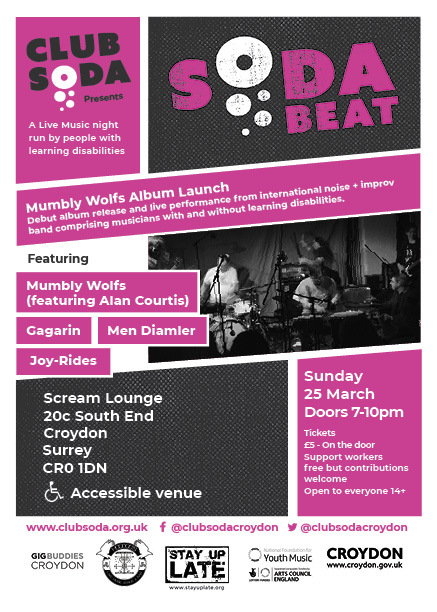 The Mumbly Wolfs album launch and live show featuring Alan Courtis. The new album (limited edition only 100 copies available) will be on sale for just £5. Just £5 on the door. Bar inside. Wheelchair accessible venue.